Greetings in this season of our Savior Jesus’ birth and in the New Year! May you have a wonderful peace brought from our Heavenly Father. 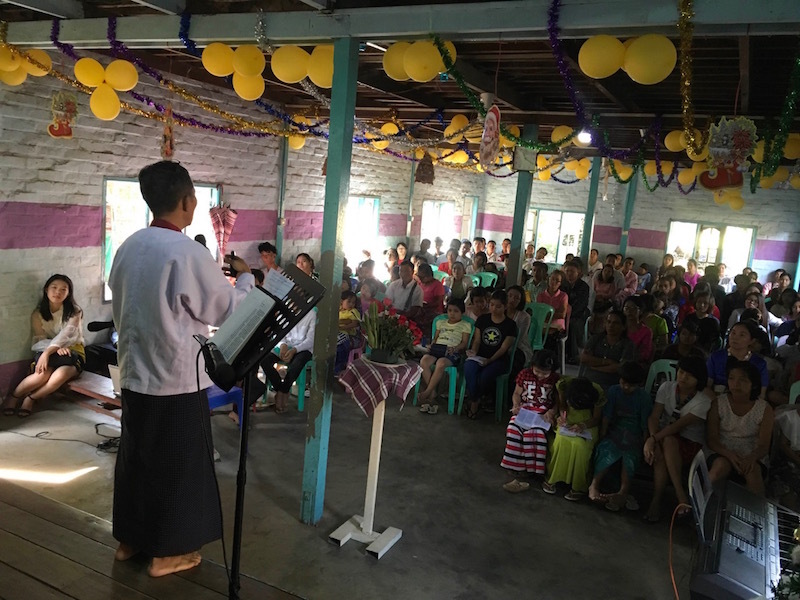 I traveled with a team from Wireless Church to several areas of Myanmar to share the good news about Jesus’ birth. This season is a wonderful opportunity to share with unbelievers because their hearts are celebrating Christmas, but they don’t know the meaning behind it. One member of our team told us a story about an older lady. When she was told, “Jesus loves you”, she replied, “Don’t tease me. I am too old to talk about love because no one could love me at my old age”. For the first time ever I was blessed to be able to preach to a group of prisoners who were allowed to attend a special Christmas service. They all seemed to really want to hear the message, and I pray that seeds of faith were planted. It is estimated that 90% of those in Myanmar have never heard the name of Jesus or the good news of the gospel. Our church services during Christmas time are very often attended by many unbelievers who are curious and more open to the gospel message. I led seminars for preachers in several locations, and we had over 70 attending. 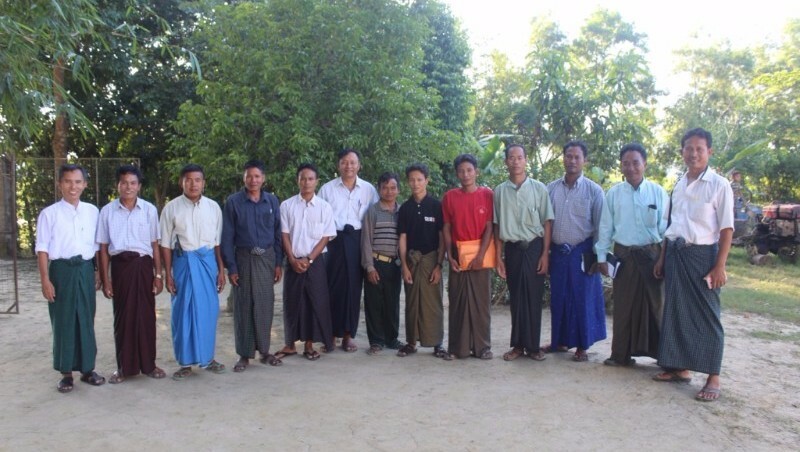 Mission Myanmar helps support 15 of these preachers, and fully supports an additional 8. I also visited several churches in these remote areas and preached. While at one small village I met a blind man. 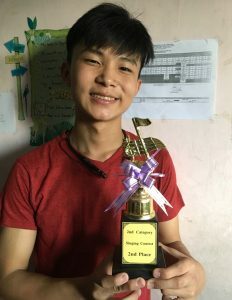 He and his family are the only Christians in the entire village. They have constant pressure and persecution from the Buddhist villagers and local monks. But praise God, this very poor family is rich in faith and stands faithful in the Lord! 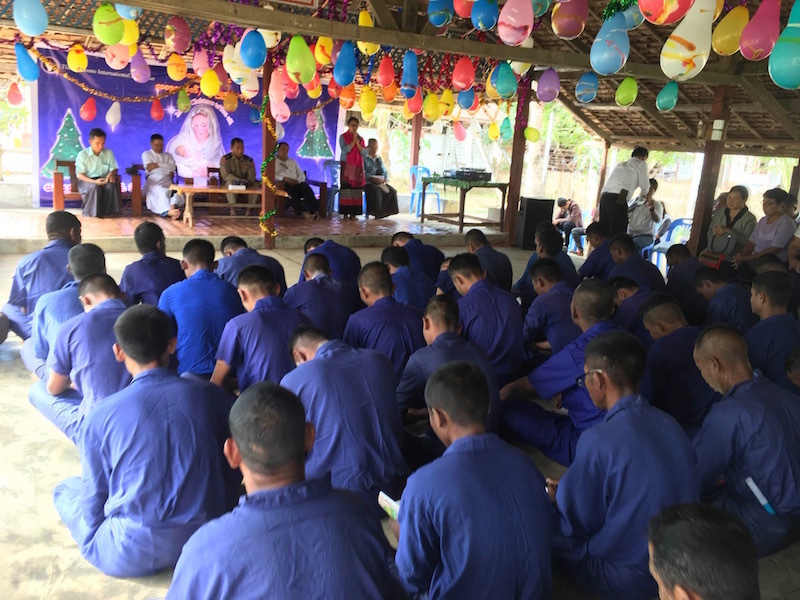 In October I was blessed to take a team to Rakhine State where the displaced victims of the ethnic violence between Muslims and Buddhists stay in temporary camps. We asked for help from IDES (International Disaster Emergency Services) and were granted $5000. With this money, we purchased rice, oil, beans, nets, vegetables, medicine and other necessary items. We also encouraged them, prayed with and for them and shared the gospel. Please continue to keep these victims and their tragic situation in your prayers. Praise God! In November our home church celebrated its 18th year since being founded. Wireless Church began as a very small house church that met in our home. Today we have multiple churches across Myanmar and many orphanages associated with them. God is moving and we have been blessed to be his instruments. 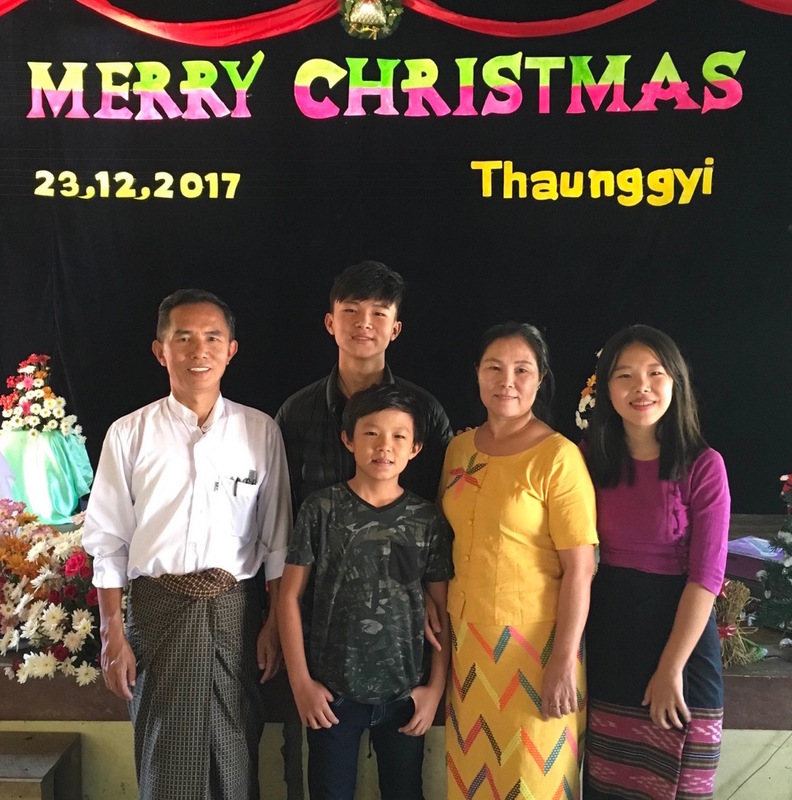 New Building Project: 2018 promises to be a big year for Mission Myanmar. We have plans to build a 3 story church/orphanage building on our Yangon Orphanage campus, where Wireless Church currently meets. The Church has outgrown the current building and we want to be able to house more orphans. To do this, we need a larger building. We estimate the cost to be $100,000 and we currently have $57,000 raised. Please prayerfully consider helping us in meeting our goal. Go to Building Fund to give your gift. Our son Jonathon competed in a singing competition at his school and won 2nd prize! We are so proud of him. He sings and plays instruments in our church worship service each week. Pray that seeds of faith were planted during our Christmas outreach services and events. Pray for our building project. Specifically that we are able to raise the funds needed to complete this project within the construction time frame that the government granted us (Sept. 2018). If it is not completed by then, we need to apply for permission once again and pay a $2500 fee. 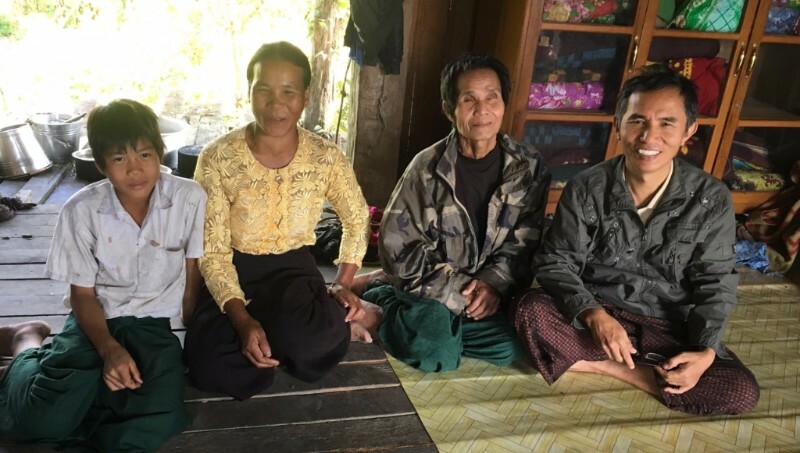 Pray for the victims (Muslim and Buddhist) of ethnic violence in Rakhine State, that they may hear the good news and be open to the gospel message of salvation. Pray for a church member who is a believer but is struggling because his unfaithful wife left him and took their son. He is a new believer who has turned to drinking and has stopped coming to church. I visit with him regularly and recently he was sober and seemed to desire to return to following the Lord. May God Bless you in this New Year and bring you new opportunities to love “the least of these” in your prayers and with your support.